The appetizing Napa Cabbage Salad was a favorite on the menu at the original Paragary’s Bar & Oven for many years. We have received a lot of requests for us to add this delectable salad to the new Paragary’s menu. While there are currently no plans to bring this mouthwatering salad back to Paragary’s, we think sharing our secret recipe with you is the next best thing! 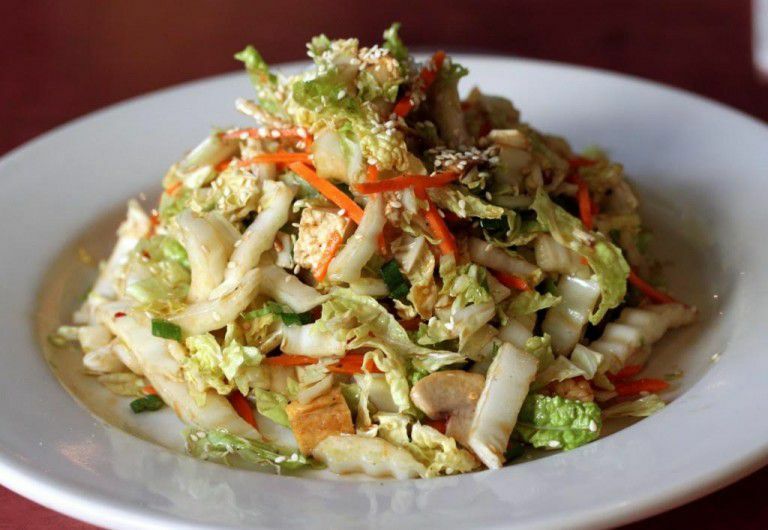 Did you know that enjoying the Napa Cabbage Salad is a great way to ring in the New Year? While cabbage is relatively inexpensive, it is thought to be a symbol of prosperity and good fortune. Many cultures celebrate the new year by cooking cabbage in the hopes that it will bring them wealth in the new year. It’s worth a shot!